Darryl ****: "Great product good price thanks." Gren ****: "Great purchase, with good communication." Nick ****: "Very happy with product. Thanx Liam... Would most definitely deal with you again." Peter ****: "great online shop, fast supplier." Wayne ****: "Good purchase, goods as described, thank you." Adam ****: "Having dealt with Liam personally before I could guarantee that any product he sells will be of the highest quality, as he would only recommend the best for his customers. 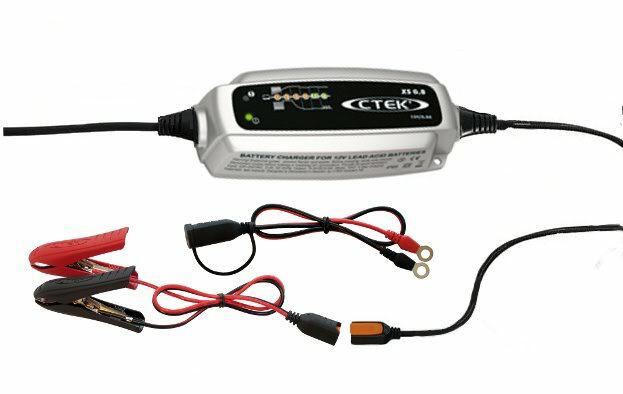 So when I decided to purchase a battery tender and saw that Fastbikegear stocked the CTEK brand I was sure it would be top shelf." Mike ****: "Great product, good price thanks." Paul ****: "Easy, hassle free purchase. Cheers." Darryl ****: "Good product, good to deal with." Adrian ****: "Fantastic product and service". Michelle ****: "Good quality product, fast delivery." ..
Julian ****: "Another quality product from Fastbikegear - thanks." ..
Corey ****: "Great purchase, fast prompt delivery." ..
Nigel ****: "Very good quality charger, Thanks." ..